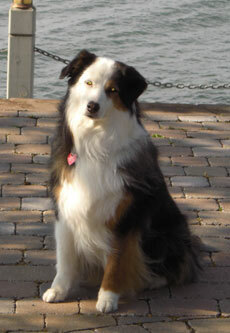 Foster families are a key part of National English Shepherd Rescue’s “circle”. Without them, NESR could not function. We rely on the generous hearts of our foster families across the U.S. to provide in-home foster care for English Shepherds and their English Shepherdy type dogs. NESR cannot guarantee the length of time it will take to place the dog in its forever home. BUT, we vigorously work to place every dog within our circle and will actively work with the foster family if the dog’s presence in the home becomes an issue. NESR cannot guarantee that the dog will be without behavior and/or medical issues. BUT, we will strive to identify any such issues prior to placing the dog with a foster family to ensure that your experience is a positive one; we pledge to provide our foster families with the material and emotional tools to deal with such issues. NESR cannot guarantee that saying farewell to your foster dog won’t be an emotional issue. BUT, we can (sadly) guarantee that there will be more dogs in need of foster families. We sincerely hope you’ll consider providing the gift of a foster home to the dogs that NESR serves. Please complete the Foster Home Questionnaire (pdf) and return to the address in the sidebar. Upon receipt, a Foster Home Coordinator will be in contact with you to discuss the process further. Please watch this video for an example of how to do a temperament test. Amy Dorsch interviews a dog using the NESR interview.